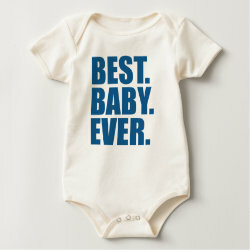 These cute gifts are perfect for new moms and dads or parents-to-be. 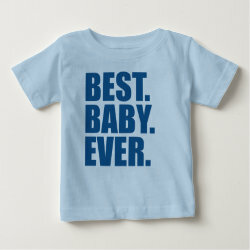 You know which baby is the best - yours! Bold text reads simply Best. Baby. Ever. Done here in shades of blue.